Only a few more days of school to go and the UK branch of Sheep Cabana is getting ready for the summer holidays. I tend to travel with fiber, handcards, a drop spindle, knitting and a crochet hook… you can see where this is going. No wonder my bags are always inspected by the TSA! When we go camping later this summer, my Ashford Joy will come with us. Last year I considered bringing my 15″ Cricket loom with me on holiday, but decided against it. 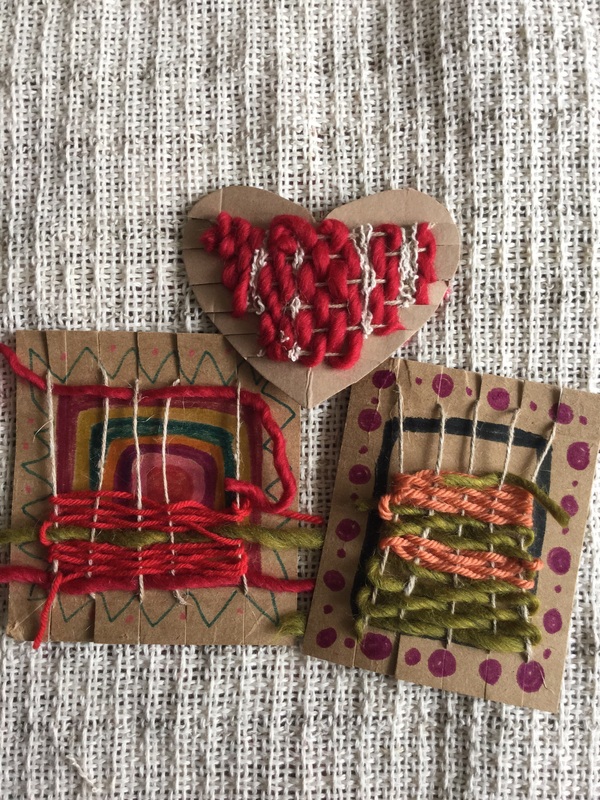 There are more portable weaving projects like tablet weaving, small tapestry looms and pin looms that are better suited to travel. One of those (or two) will be in my suitcase in the coming weeks. 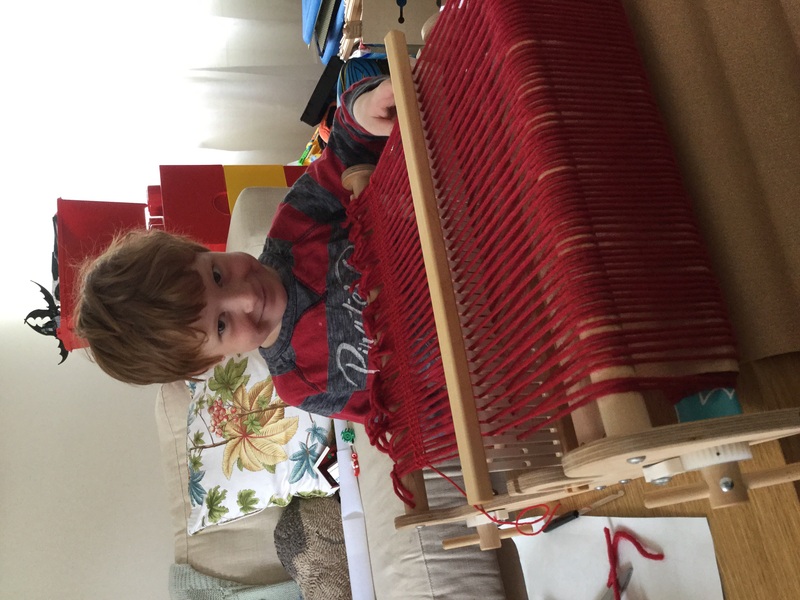 Pin looms are also a great way to get children interested in weaving. They’re small and easy to handle. That said, I recently set up the Cricket for my six-year old boy and he loved it. Imagine me glowing with pride as his project grew. Amazing! The May/June 2015 issue of Handwoven featured two fun-looking projects for children. One was a Hula Hoop rug. I found this tutorial on YouTube posted by a young woman who made something similar for a girl scout project. I love the idea of children sharing their craft knowledge online. The other Handwoven children’s project is sort of a mini-tapestry necklace or decoration by Jennifer Lee. All you need is some cardboard, yarn, a tapestry needle and maybe some beads. There are plenty of similar projects demonstrated online. I’m going to try this out with my little one. Once he gets into something, he tends to go into manufacturing mode. We shall see how many of these we have at the end of the summer. There is also a free e-book on the Interweave site with weaving projects for kids. If you are massively ambitious and have tons of Lego, check out this automated loom. Wow. 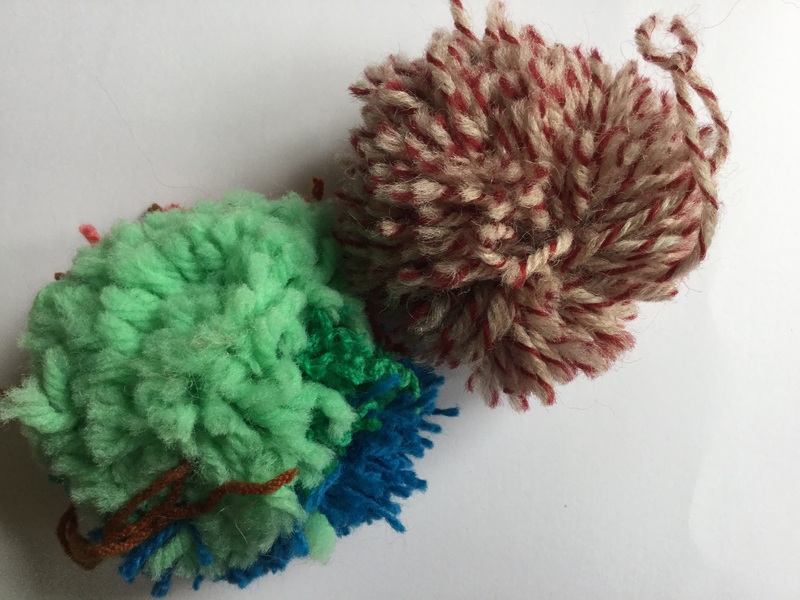 For those of us who prefer something low-tech, don’t forget the ultimate portable and child-friendly fiber project: pompoms! 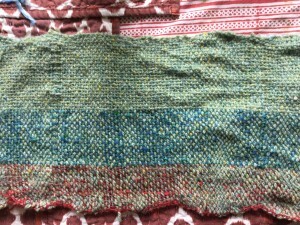 Here’s another idea from Handwoven that caught my eye: grass cloth. For those of us wondering what it is, grass cloth simply is cloth woven with dried grass in the weft. Apparently grass cloth wallpaper is trendy these days. Who knew. 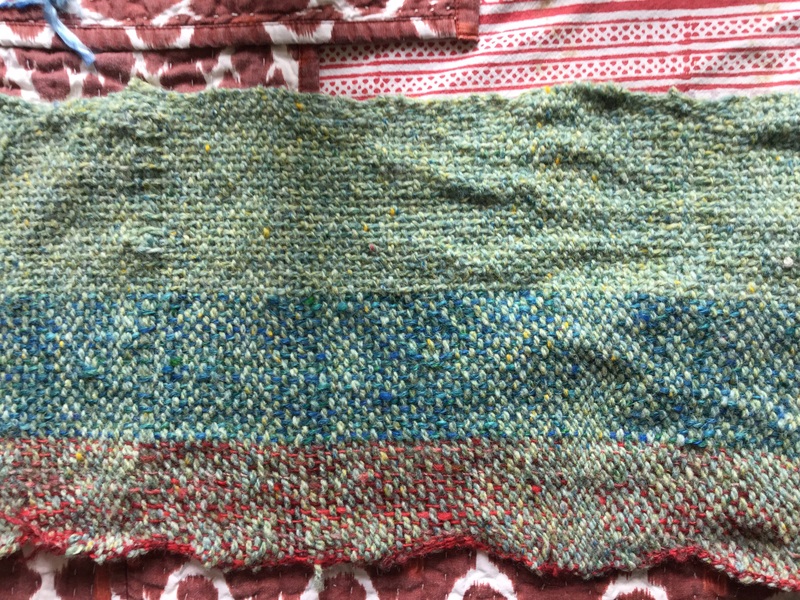 Weaving grass cloth is not really a portable project, but it does require grass that you might find when you’re strolling along the beach or through the countryside as part of your summertime ramblings. Handwoven’s grass cloth journal instructions for the rigid heddle loom can be found here. What I love about this project is it can be made from materials gathered either in your neighbourhood or while on holiday. It’s sustainable, eco-friendly and a keepsake. When he gets those mini-tapestry necklaces listed on Etsy, let me know, I want one! let me know what kind of cardboard you want!!!! !